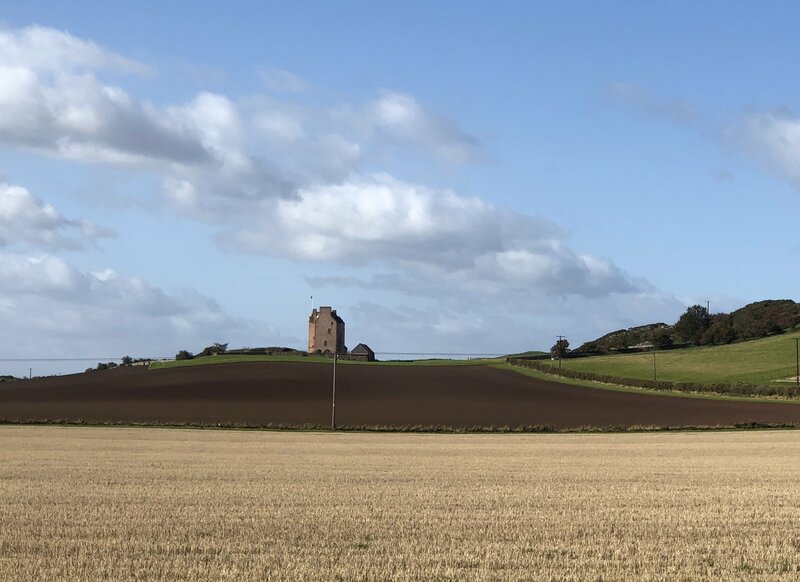 East Lothian is a picturesque and rural area to the east of Edinburgh and offers peaceful rest bite to the hustle and bustle of the capital city. 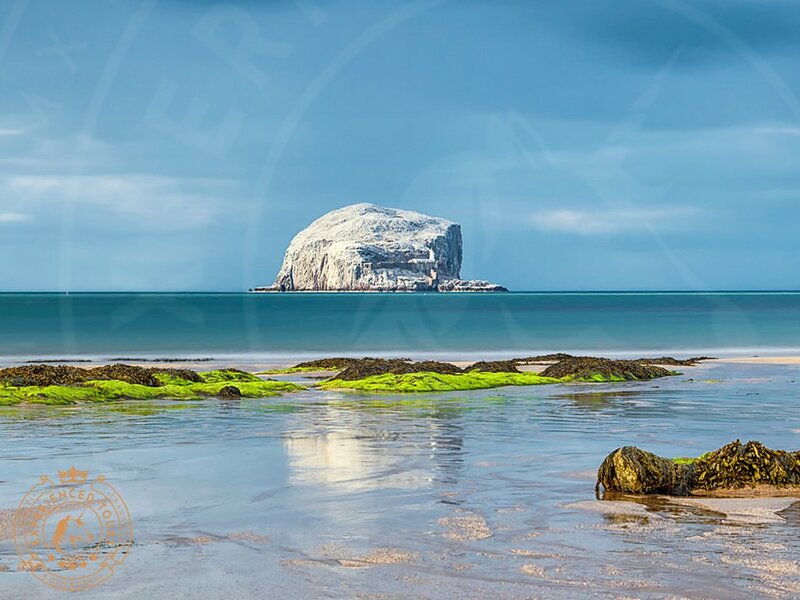 It is an area rich in agriculture with small villages nestled into the landscape and a dramatic volcanic coastline featuring The ‘Bass Rock’ near North Berwick. East Lothian is also home to ‘Scotland’s golf coast’ which features many coastal links and parkland courses. 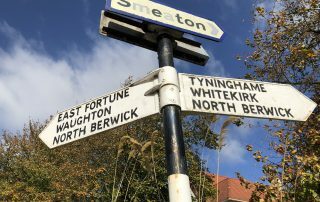 East Lothian offers a wealth of different things to see and do.  It is a county of two personalities on the coast and inland. 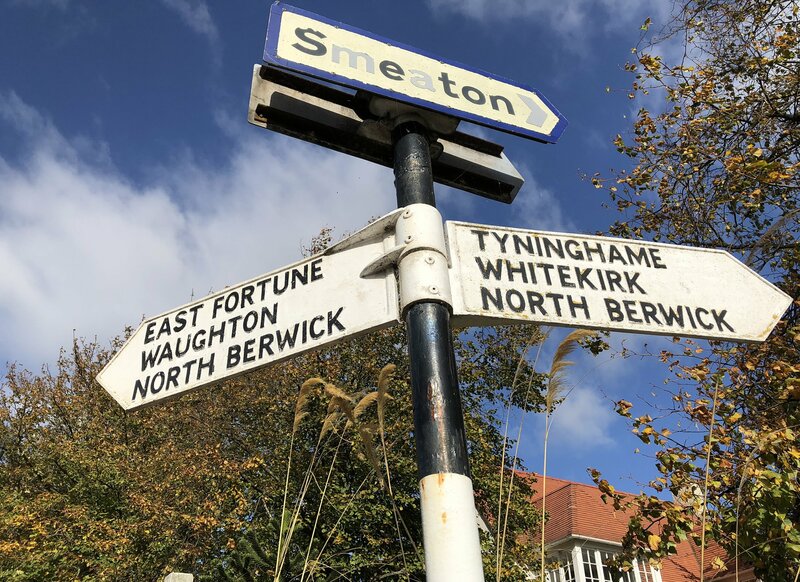 It’s relative proximity to the border with England meant East Lothian has been the stage for many periods of Scottish history and a day touring the county is a memorable and rewarding one. 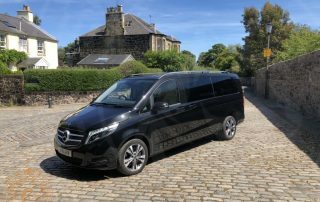 As we leave Edinburgh and travel along the coast through the old seaside resort of Portobello we venture on to the picturesque village of Aberlady and calling at Dirlton Castle which is home to a ruined 13th century castle. 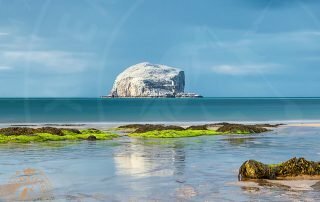 From here we continue to North Berwick which features two volcanic plugs; The Bass Rock which raises almost 400ft out of the sea and home to a huge colony of seabirds and North Berwick Law to the south of the town. North Berwick hosts a picturesque harbour of small fishing boats and sailing yachts as well as the local RNLI lifeboat station. 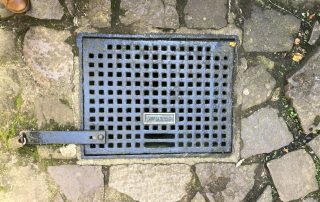 Exploring this area by foot allows us to appreciate the lives of people that lived here in the past. 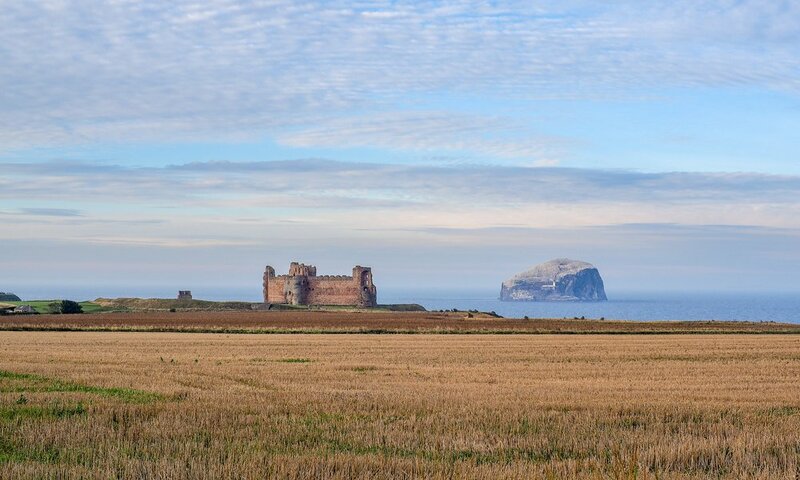 Travelling on from North Berwick Tantallon Castle becomes dominant on the skyline. 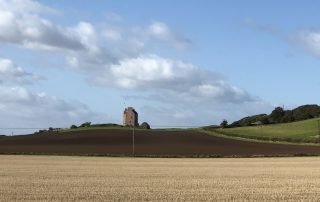 The impressive 5-story castle was built in the mid 14th centuary and was home to the Earls of Angus and saw a number of battles during its 300 year life before being ruined by Oliver Cromwell in 1651. 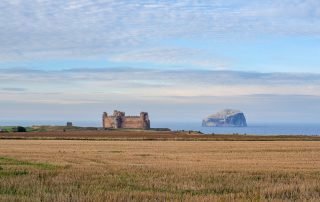 Tantallon is also unique in its fortified design given the perilous cliffs to the east and its setting on the dramatic coast. 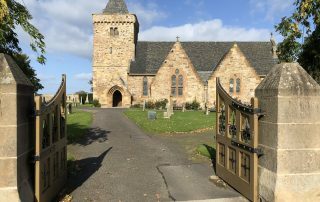 From Tantallon we visit Dunbar where John Muir was born. 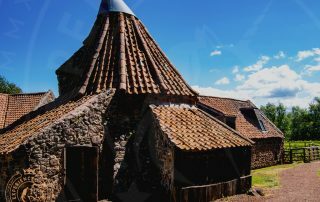 John’s house is immortalised in the ‘John Muir Birthplace’ museum and shows the humble beginnings living in a strict and religious family before he emigrated to America to become one of the richest and influential characters of the late 20th century. 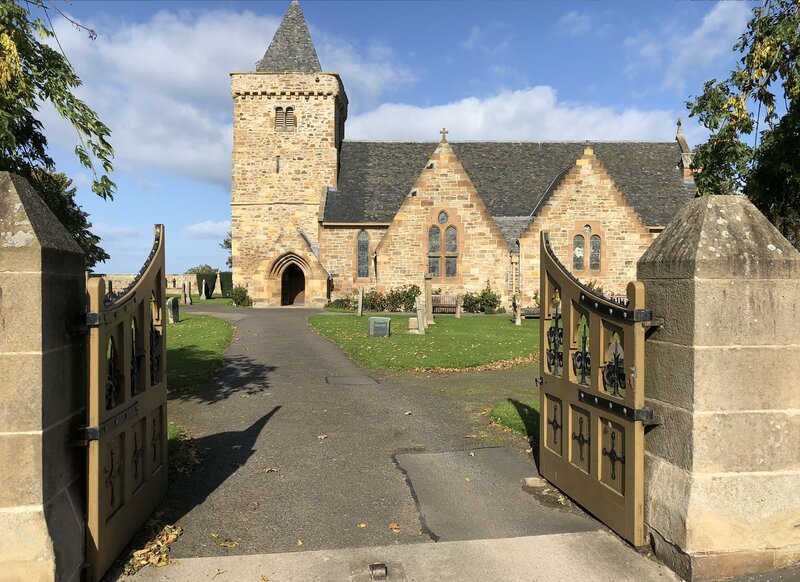 From Dunbar we then travel the short journey inland to the sleepy and quaint village of East Linton. The change in the landscape is marked, from rugged coastline to rolling hills. We’ll visit Preston Mill, a fine example of a watermill that processed the crops from surrounding farmland. 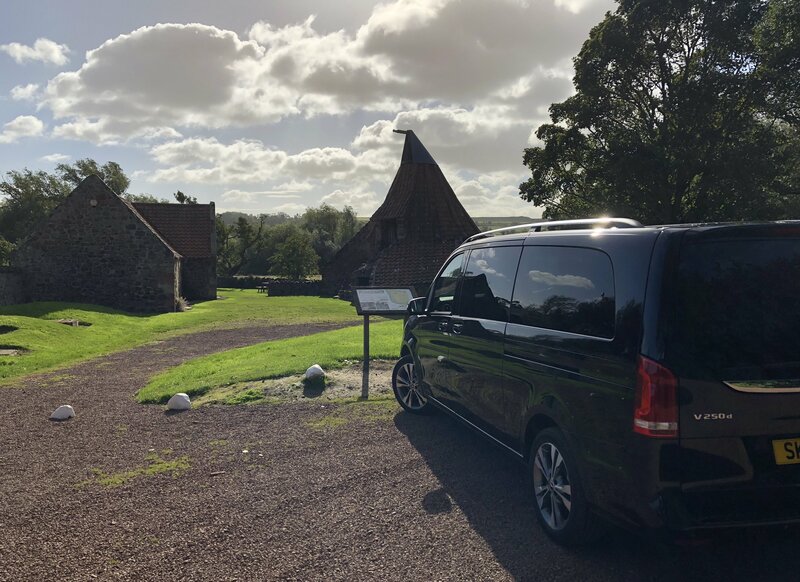 Built in the 18th century it’s red tiled roof and tranquil setting seem more apt to a movie scene but the mill still works today, albeit more for tourists than for any mainstream production. 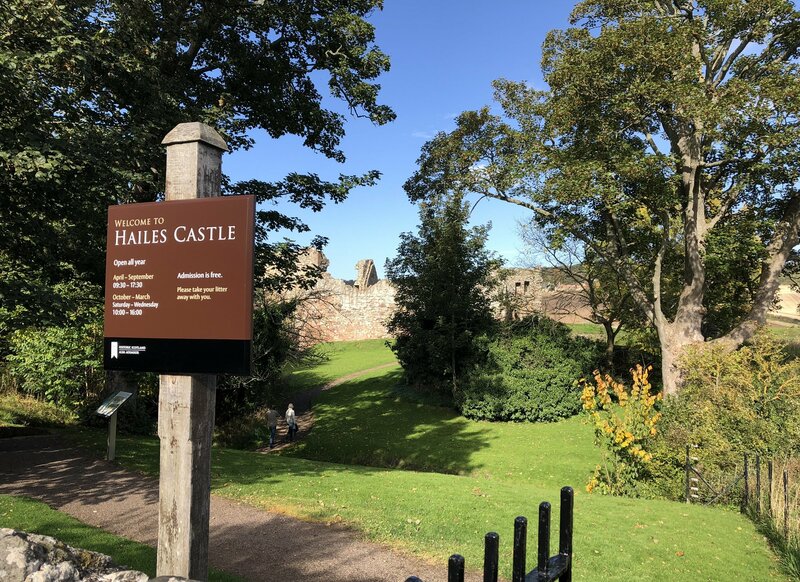 We then venture down the single track roads to Hailes Castle, a little-known but fantastic red-stone castle on the banks of the River Tyne. 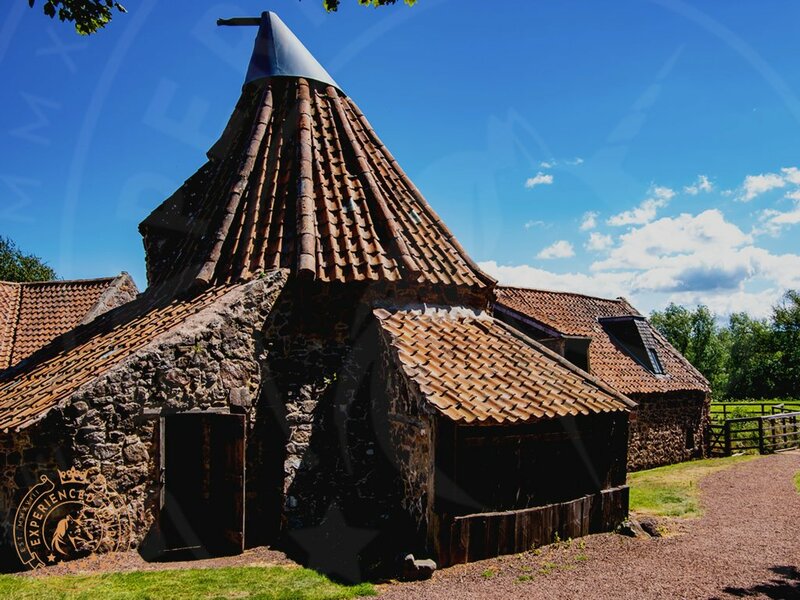 The castle was constructed in parts between the 13th and 16th century and also features a Doocot (Dove Cot). 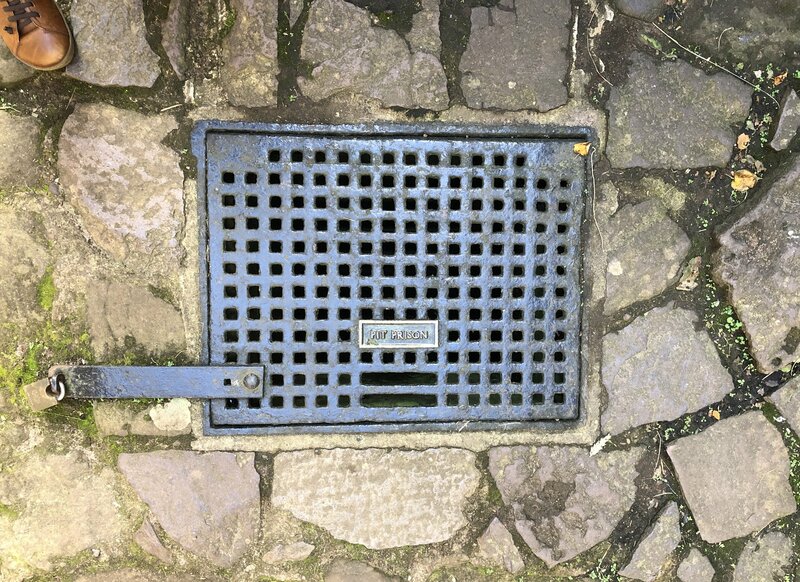 At the end of the day we head back to Edinburgh and to your accommodation. 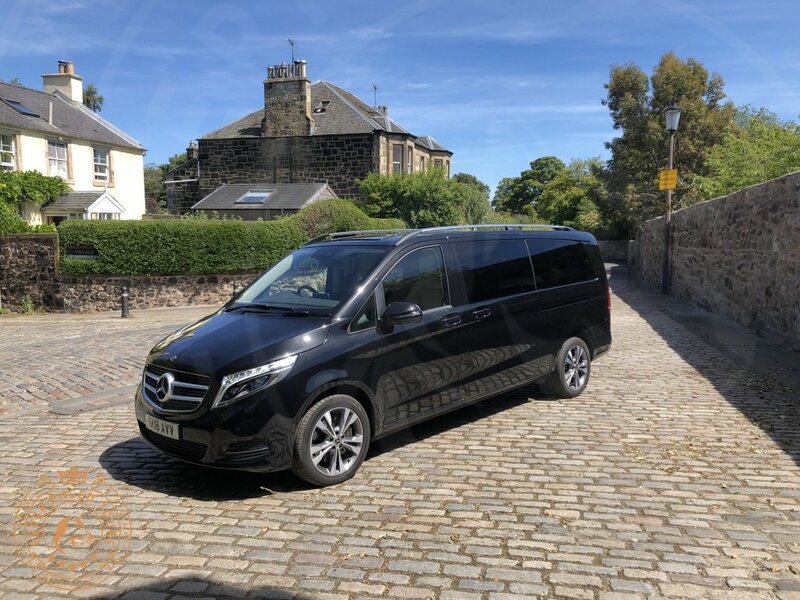 On the return leg you will marvel at the city Skyline ahead as you can make our Arthur’s Seat, the Castle and Docks in Leith. On a clear day you can even see the Forth Bridges in the far distance.